This texture pack is a collection of tweaks to the default Minecraft textures. 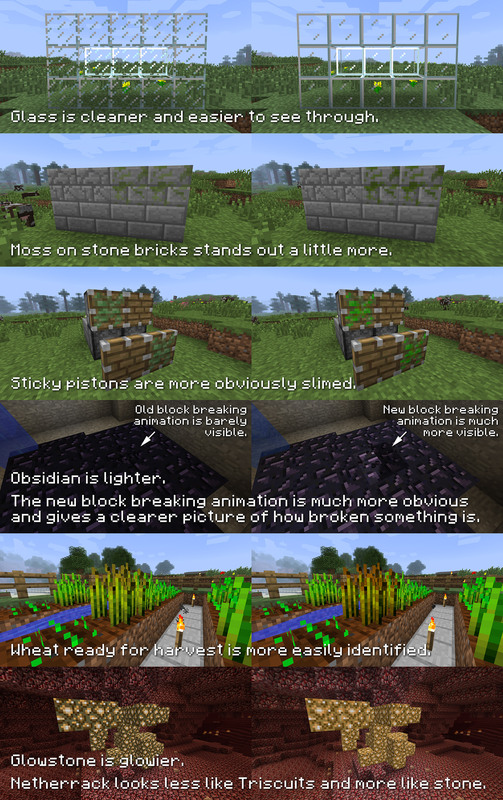 It's not intended to be a totally original texture pack, just an improvement/modification of a few things I'd like to see changed. I made it because although I've enjoyed checking out a lot of great texture packs, I think the original textures are essentially good, and I just wanted to make some relatively minor changes.